8 items tagged "Video Sharing"
PHPClips is now at V2.0 release. 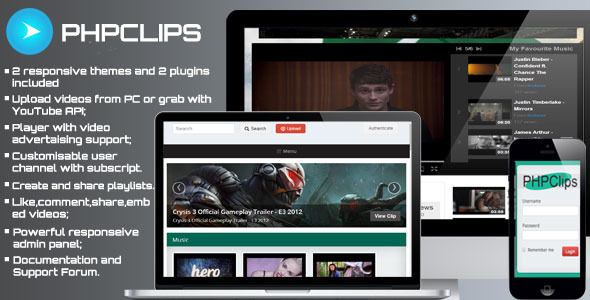 It is a powerful video sharing platform, supporting uploads from pc or from youtube, themes, plugins, video processing with ffmpeg, and much more features. 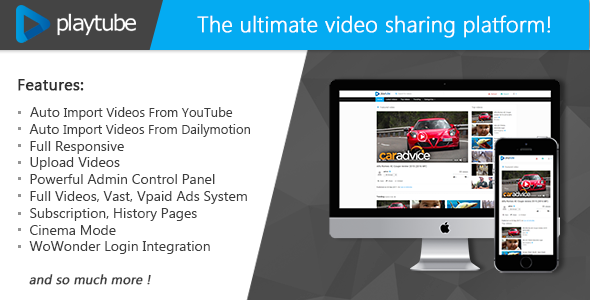 Create a Niche Video Viral Website – Add Youtube, DailyMotion and Vimeo videos! The DooVideoMedia script is a video viral php script which allows registered users to submit, like, share and comment on videos, complete with the DooAdmin administration area for easy management of users, videos, pages, site map creation, logo upload, Disqus comment API insertion and more. installation is very easy to use.